The Dakine Sawtooth 3L Gore-Tex Jacket is a flattering fit for narrower builds and it is one of the few contoured hood jackets in their line. The media pocket is slightly awkward but its functional and overall this is a recommendable jacket for those that see a lot of wet weather. If it fits your build it can for sure work. 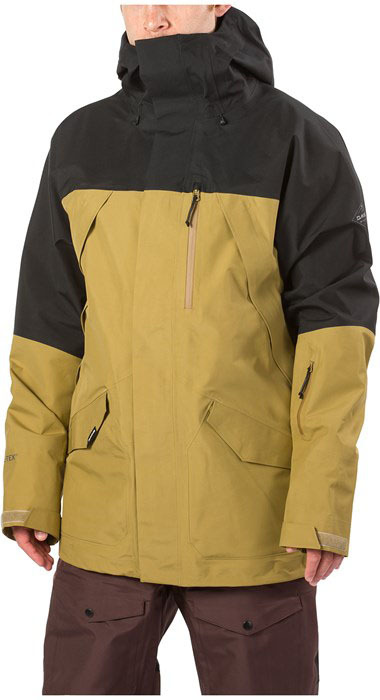 We try to get as many images of the Dakine Sawtooth 3L Gore-Tex Jacket, but forgive us if they're not all there.